Neuroscience For Coaches E-book. 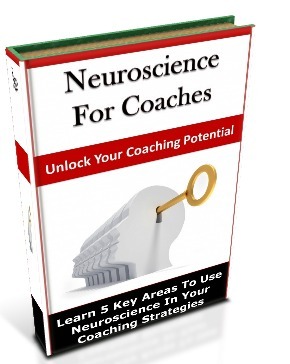 97-pages of practical application of the 5 key areas to use Neuroscience in your coaching. Also receive the FULL Neuroscience for coaches Toolkit upon purchase (includes 3-part webinar video series + audio mp3, Neuroscience For Coaches Checklist, Neuroscience printable posters for clients).